In order for a human being to live healthily there are some body requirements that need to be fulfilled on a daily basis. One of these requirements is sleep. Our body greatly benefits from a restorative sleep. An example of one of the wonders achieved through proper sleep includes tissue repair. This is possible because during one's sleep, the body is rested and no excess activity takes place. This means while tissues are not being used, they are being repaired by re-generative processes in the body. This indicates that people need to get adequate amount of sleep in order to prevent their bodies from wasting away. When a person does not sleep well one night, s/he begins to experience fatigue. It usually happens due to incomplete repair of material used in the body. In addition to this it should also be noted that the human mind never really rests; it goes into different states of operation, some of which are great mysteries that are still being investigated. However, there are many things that are also known about the working of the human mind and the sleep patterns and behavior that are associated with it. This disorder is quite well known and is commonly known as snoring. 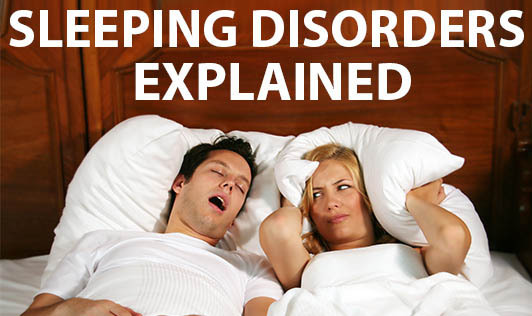 Around 3 to 8 percent people suffer from this sleep disorder. More men than women are affected with Obstructive Sleep Apnea. As the name implies, an obstruction occurs in the upper breathing tract. When this occurs during one's sleep, it is obvious that oxygen supply through breathing does not take place. This can prove to be dangerous. However, when this natural blockage takes place, which may last up to 90 seconds, a shot-circuit kind of action is set off, and that is when the snoring sound takes place. It is this snoring sound which indicates the air flow to and from the lungs still continues. Though there are a significant number of people that suffer with this disorder, treatment for it helps atleast 90% of those affected. When one suffers from insomnia everyday life goes for a toss. This is because one generally feels a lot weaker. Accidents are most likely to occur because of being tired and not being able to focus on daily work. Around seventy percent people suffering with insomnia improve their condition after having been treated. In some cases when one moves too vigorously s/he may be injured. There may also be a tendency to eat excessively while asleep and disturb people around (also known as Sleep Related Eating Disorder or SRED). This condition can be easily detected and treated too.